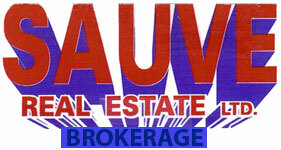 SAUVE REAL ESTATE LTD is a family owned and operated business founded in 1962 by my father Adelard Sauve. At one time it employed as many as 15 sales people, including my mother Rosabelle Sauve. In 1964 I joined the company never dreaming I would make it a life long career. In fact, I've never looked back. Real Estate has been a very rewarding career and wise choice for me as I love working with people. It also gives me the freedom to pursue my favourite sports; canoeing and playing hockey with the "Old Timers". The company has made some changes throughout the years but it continues to be a top selling agency serving people with the same respect, enthusiasm and commitment it always has. Although the office is based in Alexandria, my working area extends as far as Cornwall, North as far as Hawkesbury and to the Ontario/Quebec border. For information on buying or selling property, I can be reached at any time on my cell phone or at the office. My goal is to give you the best service possible.